Vivo V7+ fulfills your selfie goals with the 24 MP Clearer Selfie Camera - Hello! Welcome to my blog! Vivo’s latest flagship smartphone the V7+ fulfills the brand’s mission of empowering self-expression of the next generation. This newest offering from the 5th in the 2016-2017 Leading Global Smartphone Brands boasts of a powerful 24MP front camera which levels up anyone’s selfie game. This selfie-centric phone’s front-facing camera rocks an LED flash and smart photography algorithms for clear, sharp, and natural-looking photos. To better appreciate your photos, the V7+ also rocks a revolutionary 5.99 all-screen Display with an 84.4% screen to body ratio, providing a more exciting and enhanced visual experience. As if a clear selfie is not just the spotlight offering of the V7+,this phone’s Special Face Beauty 7.0 feature brightens up photos and evens-out complexions so capturing a selfie-moment is not a problem, anytime anywhere especially in dimly-lit environment. Just like the good old DSLR camera, the V7+’s Portrait Mode blurs out backgrounds which creates sharper selfie features. 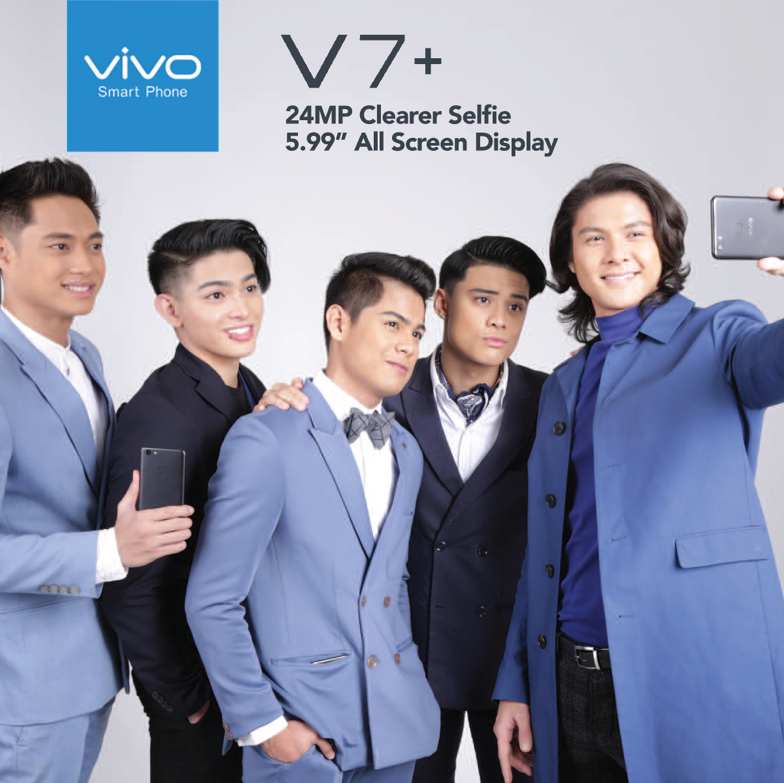 The Philippines is known for its selfie-obsessed populace and the V7+, just like all of Vivo’s other smartphones, does not disappoint. One’s huge collection of selfies is safe and secure as this smartphone is powered by an octa-core Qualcomm Snapdragon 450 SoC coupled with 4GB RAM + 64 GB of ROM expandable to up to 256GB. Other premium features include a special security which unlocks the phone with mere facial recognition. It is equipped with a dual-SIM (Nano-SIM) and runs on Funtouch OS 3.2 based on Android 7.1 Nougat. Another highlight is a Smart Split 3.0 feature, allowing users to check their messages, mails, among other things without interrupting the current running app. The V7+ comes in Matte Black color and Crown Gold at only Php Php17,990 and is available at Lazada, Argomall, and all Vivo concept stores and kiosks.